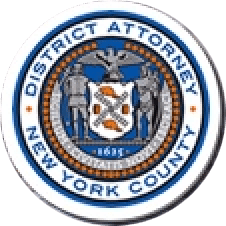 Manhattan District Attorney Cyrus R. Vance, Jr., announced the indictment of a group of individuals for advertising and selling forged tickets to major musicals, shows, and sporting events as part of an online ticket sales scheme. The defendants are charged in a New York State Supreme Court indictment with Criminal Possession of a Forged Instrument in the Second Degree, Forgery in the Second Degree, Scheme to Defraud in the First Degree, and Grand Larceny in the Fourth Degree as well as Conspiracy in the Fifth Degree, among other charges. According to the indictment and documents filed in court, between March 2017 and May 2018, ISAAC CHESTNUT, 27, and RAHIEM WATTS 29, designed forged tickets and recruited co-conspirators to participate in the scheme, which involved advertising show tickets online and selling forged tickets to buyers. ANDY QUEZADA, 30, BRUNO LISA, 34, and MATTHEW HAMILTON, 27, acted as intermediaries: Once they received the forged tickets, the defendants sold the fake tickets to victims for hundreds of dollars apiece. In total, the defendants stole thousands of dollars from victims of the scheme by selling them fake tickets to the Dear Evan Hansen musical; Bruno Mars, Justin Timberlake, Ed Sheeran, John Mayer, and Paul McCartney concerts; hockey games featuring the New York Rangers and New Jersey Devils; and additional events in other cities. Search warrants later executed at CHESTNUT’s and WATTS’ residences revealed possession of multiple forgery devices, as well as several ledgers detailing victims’ names and telephone numbers, the amount of money made per sale, and the name of the show for which the ticket was sold. Investigators also recovered more than 100 forged tickets for various events from the defendants’ apartments. Assistant D.A. Yuval Simchi-Levi is handling the prosecution of the case under the supervision of Assistant D.A. Craig Ortner, Deputy Chief of Trial Bureau 60, Assistant D.A. Charles Whitt, Chief of Trial Bureau 60, Assistant D.A. Christopher C. Prevost, Chief of the Violent Criminal Enterprises Unit, Executive Assistant D.A. David O’ Keefe, Deputy Chief of the Trial Division, and Executive Assistant D.A. John Irwin, Chief of the Trial Division. Investigative Analyst Jacob Steinberg-Otter, Cybercrime Analyst Nino Panchulidze, and Technology Analyst Bhavik Vyas provided additional assistance with the case. District Attorney Vance also thanked Detective Thomas Schick and Police Officer Kara Darcey, as well as Detective Peter Nangle of the Midtown South Detective Squad, for their assistance with this case.